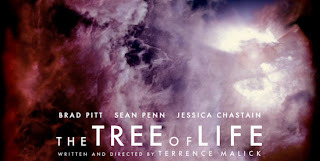 I finally got around to watching THE TREE OF LIFE. For the most part, I’ve stopped going to serious movies, mostly because of an indie film burnout that occurred in late 2002/ early 2003 after seeing Tom Tykwer’s HEAVEN, Todd Haynes’ FAR FROM HEAVEN and Stephan Daltry’s THE HOURS all in the space of a month. Exhausted by those films’ precious obfuscations and didacticisms, I realized that my lifelong preference for lowbrow entertainment had blossomed into a full-grown prejudice. In the decade since, my big-screen viewing has revolved primarily around genre films that offer a bang for the exorbitant buck. I’m not apologetic about this, nor am I putting on airs of reactionary anti-intellectualism. It’s just my subjective preference. I do try to judge every film on its own merits, regardless of where it fits on the Cannes scale of seriousness. I’m not completely averse to challenging motion pictures and had certainly heard and read enough about writer/director Terrence Malick’s much-lauded film that I wanted to see it for myself. So I DVR’d THE TREE OF LIFE with an open, even hopeful mind. And I pretty much hated it. Granted, watching it on my wee 32” television wasn’t an immersive experience the way that seeing the scenes of the formation of the universe and evolution and eventual destruction of life on Earth would’ve been on the big screen, but I still got the point… the long, drawn out, laboriously rendered point. Why are we here? What does it all mean? What is the meaning of life? Oh, and then there was some stuff in the middle about Sean Penn as a little kid in Texas in the late 50s dealing with a vaguely abusive father played by Brad Pitt and a gauzy cipher of a mother played by an actress who refuses to admit her year of birth, adding to the mystery of it all! There’s real drama here, but it gets lost in a torrent of gossamer shots of nature and laundry flapping in the breeze and hardwood floors and dirty feet being rinsed in sprinklers. I understand that the limited use of dialogue was for effect and that the blanks in the narrative are meant to be filled in by the viewer, but for me, anyway, it just fell flat (watch THIS BOY’S LIFE if you want to see a similar story told in three complete acts). The movie has earned much praise for its cinematography by Emmanuel Lubezki, and it was certainly lovely, but it quickly becomes tiresome; it feels like a two and a half hour perfume commercial. 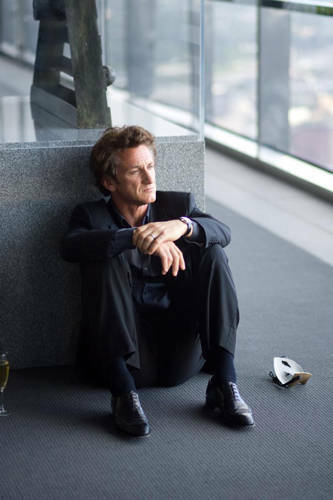 But where the movie really lost me was during the scenes with Sean Penn as the adult Jack, mourning his long-dead brother on the anniversary of his death, stumbling through his towering Texas office building, eventually finding his spirit wandering onto a sandy beach with his family (departed and not), a vision of contentment and release that, to me, felt like proselytizing (even Penn himself has stated that he didn’t think the movie worked due to its lack of narrative structure). Here’s the thing: THE TREE OF LIFE is vague enough to invite interpretation, and whoopee for that—I guess. 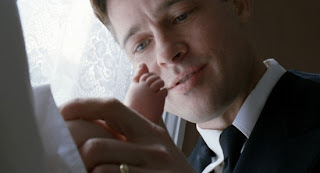 I know people who think that it’s just about the beauty of life (I think the sadness of the Brad Pitt character belies that… he lived a life of frustration and longing and loss, peppered with moments of happiness, all of which seriously confused his kids). I know people who think it’s about evolution (certainly, the film doesn’t show God creating the Earth in a week, but barely anyone truly believes that, right?). My interpretation was that Malick thinks the key to happiness is to let go and accept a higher power. But ultimately, whether my understanding is correct or not doesn’t change my negative reaction to the film. I guess I just don’t think that pondering our existence is worthy of two and a half hours of winsome navel-gazing. To me, trying to parse the meaning of life is an utter waste of time. One of the nice things about not believing in any higher power is a calm acceptance that our existence is nothing but happenstance, a random probability given the vastness of the universe; it has no meaning other than that which we give it ourselves. It’s a liberating feeling (and one that can actually enhance an appreciation of what we are able to experience on this lovely, doomed planet). We also don’t waste time fretting over where the universe came from… it’s here, we lucked into a biosphere, get used to it. But then again, as I said at the outset, this movie just isn’t my cup o’ tea. I prefer my serious topics handled through pop metaphor. To me, THE DARK KNIGHT is a much more successful examination of the human spirit being tested than John Hillcoat’s dour and ponderous adaptation of Cormac McCarthy’s THE ROAD. I’d much rather read SUPERMAN than MAN AND SUPERMAN. So, I guess I’ll just stick with my cinematic meaning of life being defined by Stanley Kubrick, Monty Python and Frank Capra (even if that last one features a rather heavy-handed God). Oh, as a postscript, I was amused to see that THE TREE OF LIFE is categorized on Rotten Tomatoes as “drama, action & adventure, science fiction & fantasy.” Okay, I’ll buy the first part, and maybe the last part (if it is indeed religious allegory)… but action and adventure?! Did I miss the part where Nick Fury invites Brad Pitt to join the Avengers? Ah, THE AVENGERS… now there's a life-affirming movie!